- Advisor to Popes, Stigmatist and Doctor of the Church. 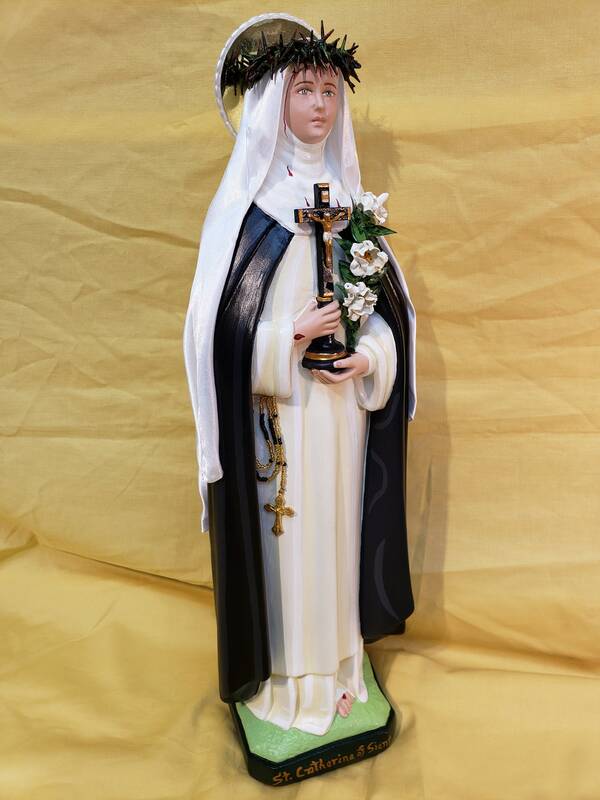 This 18" tall statue features a divinely blissful hand painted face and details such as fingernails and eyelashes, hand made cloth veil, crown of thorns, lily of purity, tiny rosary beads, crucifix, and golden halo. 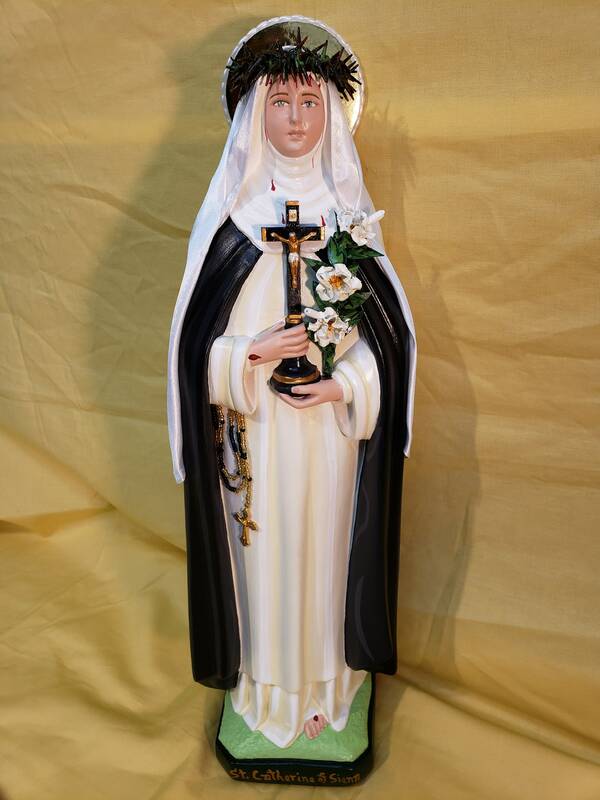 We will also touch your finished statue to a first class relic of Saint Catherine of Siena. 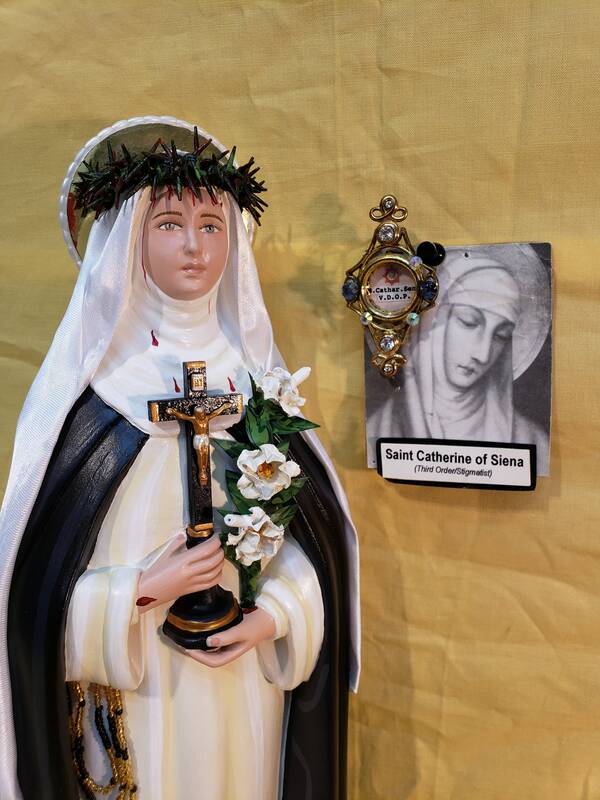 This is such a beautiful statue of St. Catherine. Probably my favorite that I own. The detail is amazing. They put such love and care into the work they do. I highly recommend these statues. Thank you! 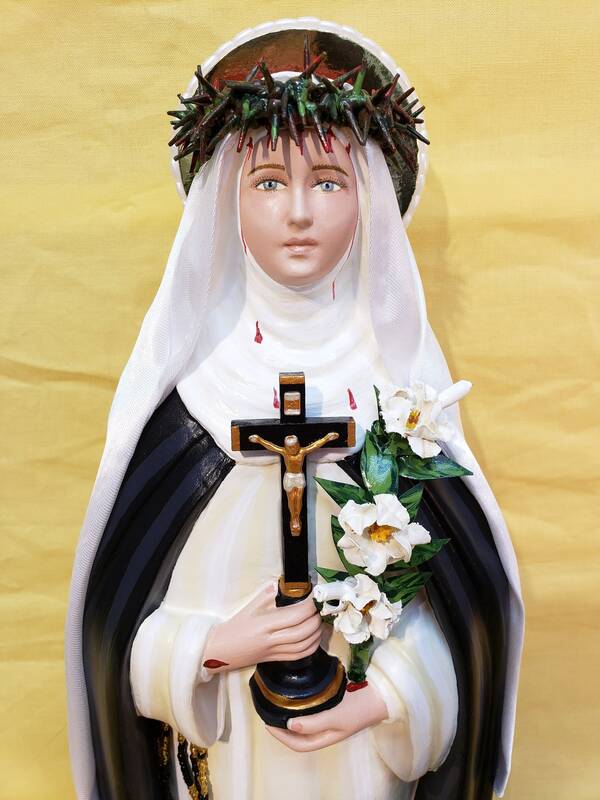 I received this beautiful image of St. Catherine of Siena this Monday morning, July 18, 2016. 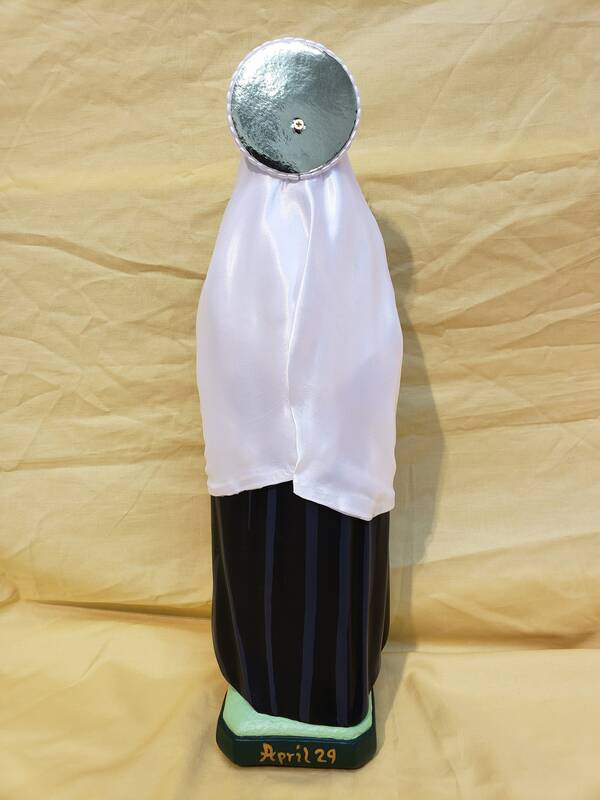 It's not only amazing but the craftsmanship was almost perfect, the package was very secured. I am very much satisfied. Thank you so much and God bless. Amazing!! 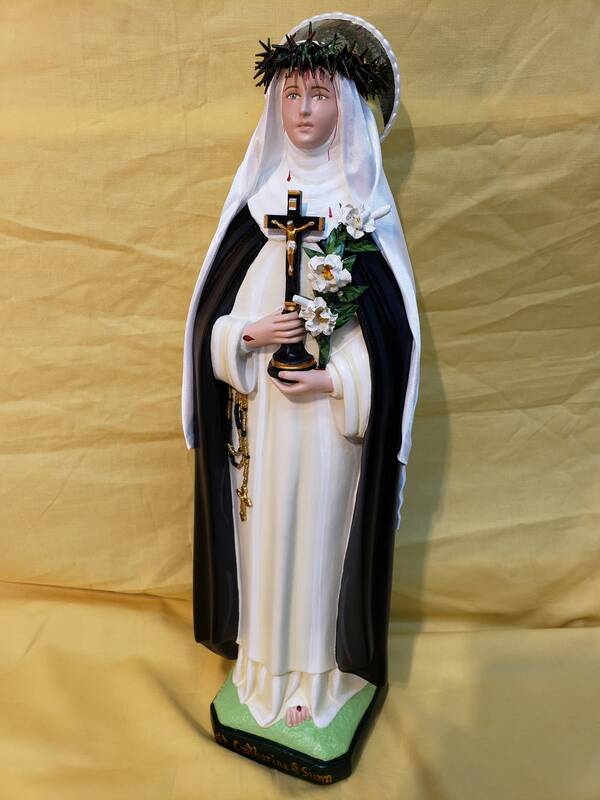 This statue will be my treasure in my life. 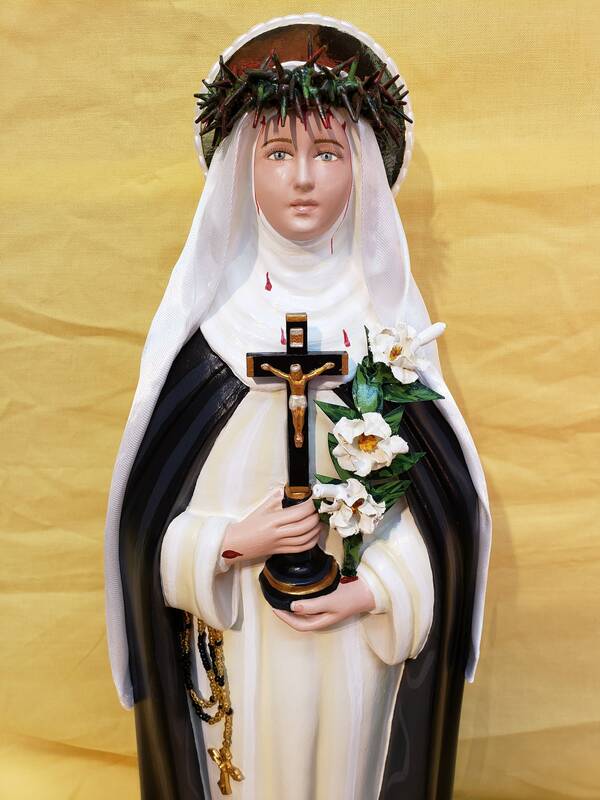 St. Catharin's veil make by silk and her Rosalio made by bease. This purchase was big for me but I really happy good purchase. You are favurous! Thank you so much.